Through our Read With Me program, teaching artists show parents fun ways to create learning experiences for their children at home. These early childhood family workshops give parents and children memorable opportunities to sing, dance and make art together. Children learn literacy skills and receive a free book to take home. Please join us for an upcoming Read With Me workshop every second Saturday of the month! The workshops below are offered FREE of charge. Our good friend spring steps out on the lawn. With Inner City-Inner Child, the fun never ends! we have a full morning of fun things to do! Welcome back friends for another morning of fun and learning. This Saturday, master teaching artists, Terry Leonino and Greg Artzner, otherwise know as Magpie, use fun songs and lively dances to teach us about the season of spring. Early childhood math, science, literacy and arts all rolled up into one fun family workshop! Everyone will receive a free copy of the classic “Bunny’s Noisy Book” to take home at the end of the workshop. Recommended for children ages 2-6, but everyone is welcome! Terry Leonino and Greg Artzner, educators and musicians, are mainstays of the Inner City-Inner Child early education program. Terry holds three degrees in early childhood education, including two in special education for children with learning disabilities and emotional disturbances from Kent State University. 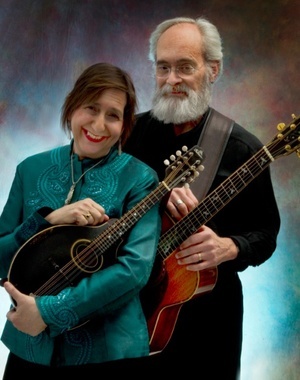 In addition to being award-winning, renowned singer-songwriters, Terry and Greg are Master Artist Teachers for the Wolf Trap Institute for Early Learning and pioneers in the use of American Sign Language to promote literacy for low-income early learners. We’ve got rhythm, yes we do! We’ve got rhythm, how about you? For our April workshop, your friends at Inner City-Inner Child are putting on our dancing shoes as we sing and shake it with musician and educator Marcia Daft. We’ll practice our rhythms and movement using pattern loops and songs. We might even have an appearance by a few instruments to help us along! So come join us as we dance the morning away! Everyone receives a free copy of “Clap, Drum, and Shake It!“ at the end of the workshop! Recommended for families with children ages 2-6, but everyone is welcome! Marcia is the Founder and Artistic Director of Moving Through Math and Moving Through Science. Her company produces and publishes children’s books, instructional materials, and videos that bring arts integrated learning to life in the classroom. Marcia is a national workshop presenter for the John F. Kennedy Center for the Performing Arts in Washington, D.C. and a Master Artist with the Wolf Trap Institute for Early Learning Through the Arts. Ms. Marcia has also developed museum exhibitions and educational programs for the Smithsonian Institution. She has written more than twenty children's educational booklets with CD’s for The Smithsonian Institution and the National Symphony Orchestra. Ms. Daft graduated Phi Beta Kappa in bio-medical engineering from Duke University. She was a Century Fellow at The University of Chicago, where she earned a Master’s Degree in music. She studied piano performance at the Mozarteum in Salzburg, Austria, and holds both a Certificate and License in Dalcroze Eurhythmics - a technique of integrating music and dance. As spring begins to peek out from winter’s icy ground, join your friends from Inner City-Inner Child as we learn a beautiful art form that is thousands of years old! This family fun workshop, led by teaching artist Karen O. Brown, is based on the Native American story of “The Goat in the Rug”. We’ll learn about the care and cooperation involved in the weaving of a Navajo rug by making small looms and weaving with paper and yarn. So come join us for a morning of stories, crafts, and fun! As old man winter begins to catch his yearly stride, come join your friends at Inner City-Inner Child as we celebrate the season with a very special book! “The Snowy Day” by Ezra Jack Keats, known as one of the first children’s books to feature an African-American child as a central character, was published in 1962 and received the distinguish Caldecott Award the following year. Now over 50 years later, it’s still a favorite with every child! To celebrate this beautiful and important book, teaching artist Karen O. Brown will lead children and adults in a hands-on workshop, inspired by Peter’s day in the snow. We’ll create snow angel puppets using a wide variety of materials and techniques. Come and join in the winter fun! Receive a Free copy of “Snowy Day” to take home at the end of the workshop! Karen is a professional artist and experienced arts educator. She conducts workshops and residencies for organizations such as The Kennedy Center, Class Acts Arts, Washington Performing Arts, the Smithsonian museums, and numerous public libraries. Her international travels in Asia, Europe, and Central and South America inform and enrich her teaching residencies, workshops, and public art projects. Karen’s graduate work is in textiles, ceramics, sculpture, 3-D and surface design, bookmaking, and photography. She specializes in differentiated instruction to meet the needs of children with varied learning styles. As the winter settles in "Brown Bear cuddles in a heap, with eyes shut tight, sleeps through the day, sleeps through the night"
But wait: Bear is waking up and surely does not want to be miss all the fun! So you too dear friend, come into the cave, let's roar, let's jump, let's growl, and stomp! Everyone receives a FREE book to take home at the end of the workshop. Recommended for families with children ages 2 - 6, but everyone is welcome! In addition to leading ICIC Family Literacy and Professional Development workshops, Sylvia is a Master Teaching Artist for the Wolf Trap Institute for Early Learning Through the Arts and Fairfax County Office for Children. She is a performing arts instructor, with an emphasis on early childhood music at the SITAR Center for the Arts, Oyster-Adams Bilingual School (DCPS), Levine School of Music and the Choral Arts Society of Washington. A graduate from the Universidade de Campinas (UNICAMP) in Sao Paulo, Brazil, Sylvia also has credits in early childhood education and psychology from Nassau Community College in New York. What fills your heart with happiness? Holding the hand of someone you love? Reading a cozy bedtime story? The smell of fresh baked cookies? Creating a work of art? As the temperature begins to drop, warm-up with Innercity-Innerchild on a trip to South America down the Amazon! Using our imaginations, music, and movement we'll explore the rainforest and river, meet with Amazonian shaman, and create a Museum of Amazonia with amazing animals and plants we meet along the way. Also learn about the importance of forests and why people should protect and save them. Natasha Mirny is a stage director, choreographer, performer, and founder of the Happy Theater. She started her career as a stage director of one of the largest puppet theaters in Moscow, Russia and has been running her small professional theatrical company since 2011. Natasha is a dedicated teacher who works with students of all ages, and enjoys working with kids from 3 to 15 the most. Her background is in pantomime, puppetry, and physical theater. Natasha is a faculty member at several theaters in DC metro area – Synetic, Imagination Stage, TheatreLab, Wolf Trap. This interactive workshop will give parents the tools to use singing and dancing to develop children’s literacy skills, love of books and passion for reading. Renowned teaching artist, musician, and performer, Sylvia Zwi, will introduce story-telling techniques that actively engage parents and children, creating a rich and vibrant learning environment for infants, toddlers, and preschool students. Recommended for 2-5 year olds, but EVERYONE is welcome! As summer comes to a close and schools bells are preparing to chime, learn about the alphabet through shadow puppets with Inner City – Inner Child teaching artist, Natasha Mirny. Be amazed as the letters of the alphabet go on an exciting journey inside and outside their magical house of light. We’ll learn ways to recall all our letter friends, and even make letter puppets of our own. So come start the school year off with your 26 new best friends. RECEIVE A FREE BOOK TO TAKE HOME AT THE END OF THE WORKSHOP. Join Inner City-Inner Child as we take a trip down to the clear waters of the Caribbean Islands: Jamaica, St. Lucia and Cuba! With the drum and guitar duets of Miguel Aubertin and Abdou Muhammad, learn about the different cultures of the Caribbean through songs, dance, and books. Pack your bags for a fun filled morning. Be sure to leave room in your tummies for yummy Jamaican treats provided by a local Caribbean restaurant. Abdou started playing the Djembe when he was 3 years old. He has received extensive training from Songa of the Valley, David Rock, Ezibu Muntu, Melvin Deal, Papa Aziz, and his godfather and whom is he name after, Abdou Kounta. Abdou’s family moved to Richmond, VA and he joined Ezibu Muntu. He became the lead drummer for Ezibu Muntu at the age of 11 years old and held the position until he was 19 years old. Continuing his journey, Abdou moved to the Washington, DC area, where he has performed with African Heritage, Coyaba Dance Theater, Soul In Motion, KanKouran, Elegba Folklore Society, Ezibu Muntu, Green Beats, The Washington Ballet, Dance Place, Step Afrika, and many more. Abdou has also performed for Fela!, the Broadway play in DC, the National Slave Ground Anniversary in Richmond, VA, the Nigerian Embassy Celebration, the NACA Conference, and at the National Cathedral School. COOL OFF with our FREE early childhood art workshop! Come take the edge off the summer heat and discover the secret underwater world of our rivers and ponds with visual artist Karen Brown. Using collage, pastels and paper, we will create an art book of the animals and plants that make up the wonderful watery world below the surface of our Anacostia River.